Sometimes I can’t believe it! It would be easy to sum up Corsica Arts Club’s sound as a reflection of Southern California — and to a degree this would be true. The lyrical romanticism and wistful melodies evoke warm summer nights driving along PCH. But location alone doesn’t give Corsica Arts Club its unique sound and feeling: this comes from close-knit friends who’ve together developed shared sensibilities, ideas, and ways of making music. Los Angeles natives Brendan Thompson (vocals/guitar) and Arash Parsee (guitar/synthesizer) have been best friends since high school, bonding over a mutual affection for The Beach Boys, David Bowie, Talking Heads, and The Velvet Underground. They played together in countless bands throughout high school and college (Thompson was enrolled at UCLA and Parsee studied at USC’s Thornton School of Music) and over the years they’ve continued to develop their style, discover shared musical influences, and cultivate a formidable songwriting partnership. In the spring of 2014, the doors officially opened to Corsica Arts Club. Inspired by the DIY approach inherent to some of their favorite recordings, notably Bob Dylan and The Band’s “The Basement Tapes,” they recorded their first single, “California I Follow,” utilizing the same home recording techniques they’ve been refining since their youth. “California I Follow,” with its undeniable chorus and lush arrangement, captured the imagination of audiences and tastemakers both local and international. It’s on rotation at KCRW and ALT 98.7 and has garnered high praise in the pages of NME. 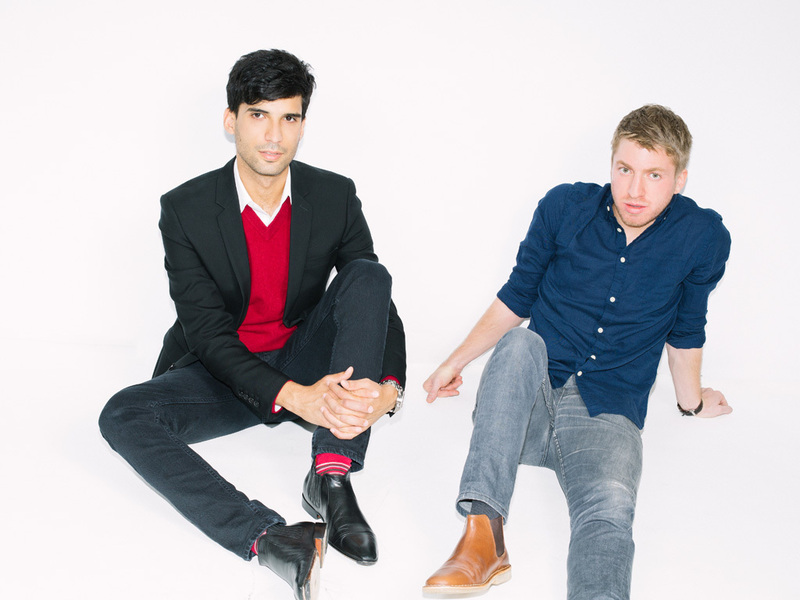 It also caught the attention of renowned indie-rockers Spoon, who upon hearing “California I Follow” invited Corsica Arts Club to open for them in Los Angeles. Keeping with the spirit that has guided Corsica Arts Club thus far, Thompson and Parsee enlisted the talents of Nate Chovanec (piano/synthesizer), Peter McArthur (drums), and Jason Mittleman (bass) to round out the band – all close friends with whom they share a musical history dating back to their teens. Quickly developing a reputation as one of the best live acts in Los Angeles, Corsica Arts Club released their debut EP, self-titled, in June 2015.